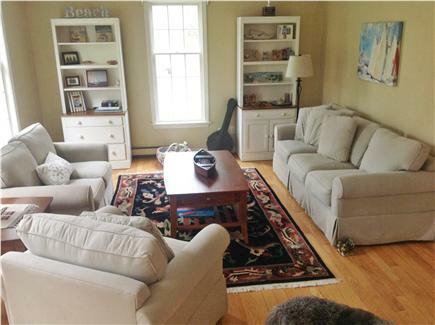 This spacious Cape is the perfect rental for a large family or 2 families vacationing together. 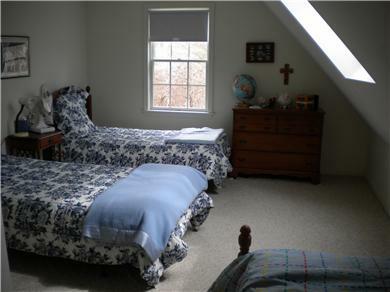 5 bedrooms (2 downstairs and 3 upstairs), 2 rooms sleep 3. 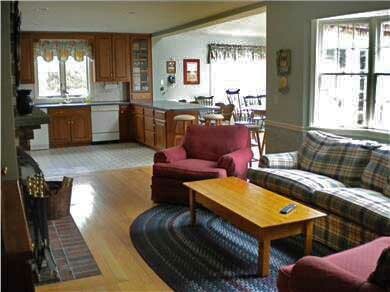 Large modern kitchen opens to family room. Located just 1/3 mile to Menehaunt beach, around the corner from Green Pond Marina (with public boat ramp), association tennis courts are at the end of the driveway. 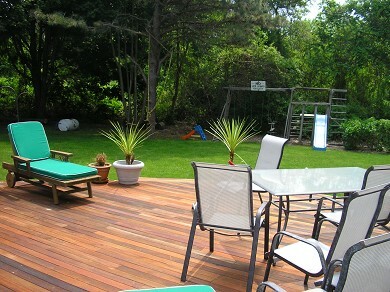 Large private back yard with large deck. 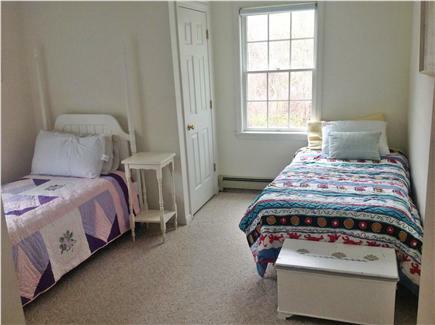 Extra amenities: outdoor shower, dishwasher, internet,cable TV, VCR or DVD, fireplace. All new family room furniture, updated pictures coming. Thank you so much for the great review! We loved sharing our home with you. What a fantastic home. It was very difficult to leave. We enjoyed our say so much! The location was perfect. 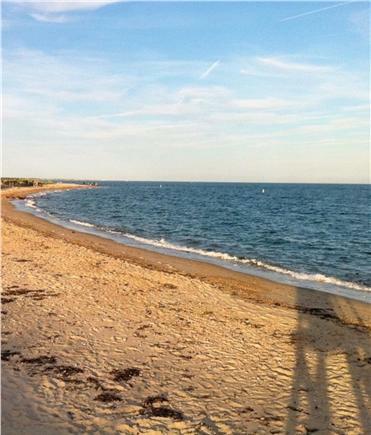 Access to beaches, downtown, Woods Hole and the Ferry! I only wish we had more time there. The house was perfect. 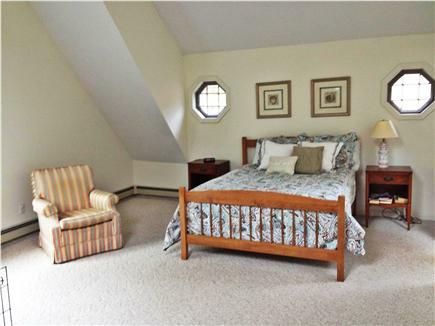 Plenty of room to accommodate adults and teenagers with friends. Perfect for all.... We are hoping to return again this summer. Dear Mr & Mrs. Doherty, Our family's vacation on the Cape was everything we hoped it would be, I would have been pleased if your Cape home at least met my expectations. I am very happy to say that it exceeded those expectations. Everyone loved the house. It was very comfortable and accommodated all of us extremely well. 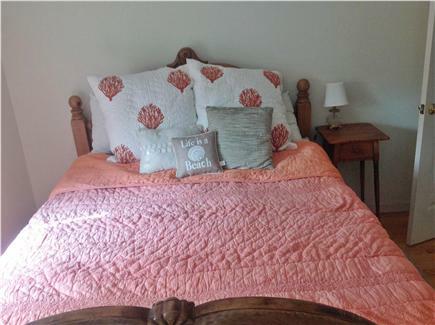 It felt like a home, and not just a vacation rental. The house was very well situated for those that wanted to go to the beach each day, as well as for those that wanted to do some sightseeing. The Cape Cod Winery, The Beebe Estate and Woods, Woods Hole and of course our day on Martha's Vineyard were all highlights of the week. At the end of the day we came back to a delightful home where we could relax on the deck overlooking a wonderful yard with many bunnies and birds, or sit around the dining table discussing our day's events. 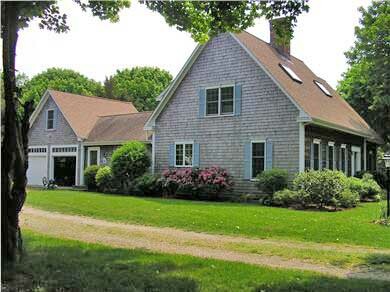 If we ever decide to vacation on the Cape again, your house will certainly be our first choice. 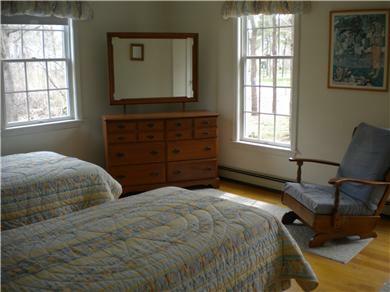 I have attached some pictures I took of your home. It was a week we'll remember for a long time, and your Cape home will be a big part of those memories.